It started in the wee hours of the morning — a quick email dashed off to colleagues and friends. Timothy and Jorja Krause had just taken a call that no parent ever wants to receive. Their twenty-five year old son, Theo (called Ted in his younger years), had sustained a severe spinal cord injury in an accident on a remote mountain trail outside Crested Butte, Colorado. Having lost all sensation from his neck down, Theo was airlifted to Grand Junction and was heading into surgery. The initial prognosis was bleak. In the days that followed, as Theo regained his strength in the ICU at St. Mary’s Hospital, and as he rehabilitated at Craig, Tim continued his email updates. Theo progressed quickly through Craig’s program and was discharged from inpatient therapy after only seven weeks, an outcome that many deemed remarkable. As Tim’s emails slowed with Theo’s progress through outpatient therapy, his friends and colleagues reached out and asked for updates. Many suggested that he write a book. 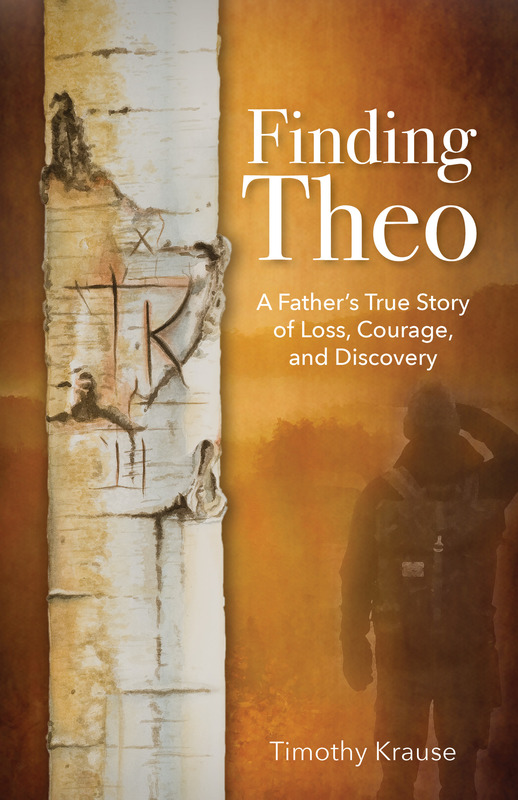 The resulting book, “Finding Theo: A Father’s True Story of Loss, Courage, and Discovery,” was published in August and is available from Amazon, Tattered Cover, Barnes & Noble and almost anywhere else books are sold. While Theo’s story is the thread that runs throughout the book, the heart of the story is in the profiles of the rescuers, doctors and therapists who played a role in his recovery. To hear their stories and learn how they had come to cross paths with the Krause family, Tim spent months tracking down and interviewing individuals who helped Theo. Craig’s Dr. Berliner and therapists Maggie (Ireland) Dahlin, Chuck Hammond and Caitlin Glennon are featured prominently in the book. Tim is promoting the book through social media, timothykrausebooks.com and speaking engagements along with Theo. He is donating a portion of the proceeds to the Craig Hospital Foundation. Mark and Robyn Glaser were involved in a serious motorcycle accident in 2010. Mark sustained brain and spinal injuries and spent six weeks rehabilitating at Craig. 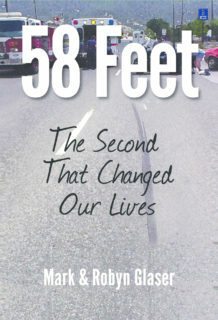 He wrote a book, “58 Feet,” about his accident, surgeries, rehabilitation and recovery. The project originally began as a journal for his then-unborn child. To piece together his story, he relied on feedback from many people, journal entries kept by Robyn, hospital and physician reports, and police and EMT reports. The couple hopes the book will inspire others to tackle the challenges they face. “58 Feet” is available on Amazon, and all proceeds will benefit the Craig Hospital Foundation. Craig benefactor Dave Liniger was an inpatient at Craig in 2012, learning to walk again following a staph infection that left him paralyzed from the neck down. After three critical surgeries and six months in the hospital, Dave returned home. 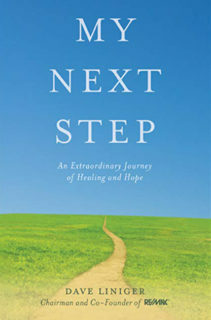 He wrote a book, “My Next Step: An Extraordinary Journey of Healing and Hope,” about his experience with his illness and recovery. 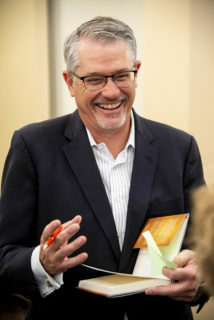 According to Dave, the book will help those facing tragedy find the courage to accept their situation and do what is necessary to take the next step toward a meaningful life. Dave and his wife, Gail, are the founders of RE/MAX LLC. The book is available on Amazon. On September 17, 2000, Tricia Downing's life took a detour. While training on her bicycle, she was struck by a car that turned directly in her path. She was paralyzed from the chest down. As a competitive road and track cyclist and lifelong athlete, losing the use of her legs was devastating to her. 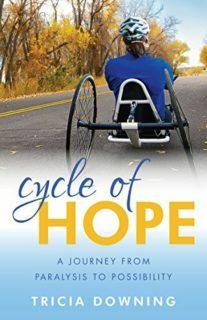 “Cycle of Hope” chronicles Tricia's journey from the first moments of impact with the car through rehab at Craig and her emergence as a world-class athlete. Tricia also is the author of “Chance for Rain,” a novel which was published in August 2018. Both books are available on Amazon, at Denver-area Tattered Cover locations, and barnesandnoble.com.